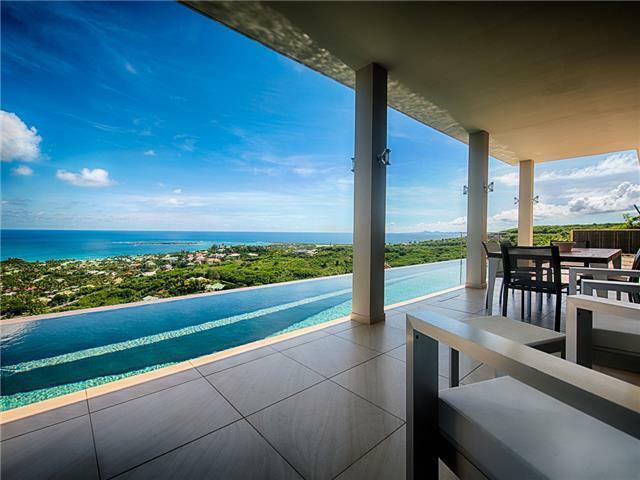 Perched on a mountainside at Orient Bay, the villa offers a truly spectacular view of the sunrise, the ocean, Pinel, Tintamarre and St Barth in the distance. This modern and contemporary villa features 2 +1 bedrooms, each with a king sized bed, en-suite bathrooms and A/c. Each bedroom has a spectacular view. The kitchen and living room have a modern yet refine look. The living room is equipped with a big screen TV, Satellite, DVD player and Wi-Fi Internet access. You can either sit in your garden or relax at your infinitypool and enjoy the oceanview. Sunrise is a romantic honeymoon villa. At Key Caribe we pride ourselves on your satisfaction and you can be rest assured knowing that our accommodations are suitable for a range of people. Our properties are all close to the beach and local tourist's amenities such as bars, restaurants, cultural activities and much more.